Dr. Miles has been practicing plastic surgery for 20 years. He is a Fellow of the Royal College of Surgeons of Canada (FRCSC), Board Certified by the American Board of Plastic Surgeons, and has been an active member of the American Society of Plastic Surgeons (ASPS) since 2003. After doing his medical training and practicing in Canada, he came to instruct plastic surgery residents at Loma Linda University as full-time faculty. He is currently a Clinical Associate Professor at LLU, and Chief of Plastic Surgery at the Loma Linda VA Hospital, while thriving with his own practice in Redlands. He has been artistically servicing the Inland Empire for more than 15 years. Dr. Miles is considered to be an excellent and caring surgeon among his colleagues and patients. He is fellowship trained and is referred to by many doctors for complex cases. His artistic specialties include aesthetic breast, body and facial rejuvenation. Dr. Miles and his family are very involved in their community, and are pleased to have an office “in the heart of Redlands”. He offers a relaxed environment for patients to express their goals and desires, allowing him to develop an individual plan for their needs. Vicki has been treating patients aesthetically for 8 years. Interestingly, Vicki's undergraduate training was in fine arts, concentrating on stain glass and sculpture. She went on to nursing and has an extensive experience with neonatal intensive care and recovery room patient care. Vicki moved to the aesthetic world in 2009. She has been trained in facial fillers, Botox treatments, Ultherapy and laser therapy. She has a keen eye for facial aesthetics and she provides a safe and comfortable environment for her patients. Dr. Collins had been in the practice of Plastic and Reconstructive Surgery in the Inland Empire since 1984. He received his General Surgery post-graduate education from Loma Linda University. He performed his fellowship in Plastic and Reconstructive Surgery at Wright State University in Ohio. 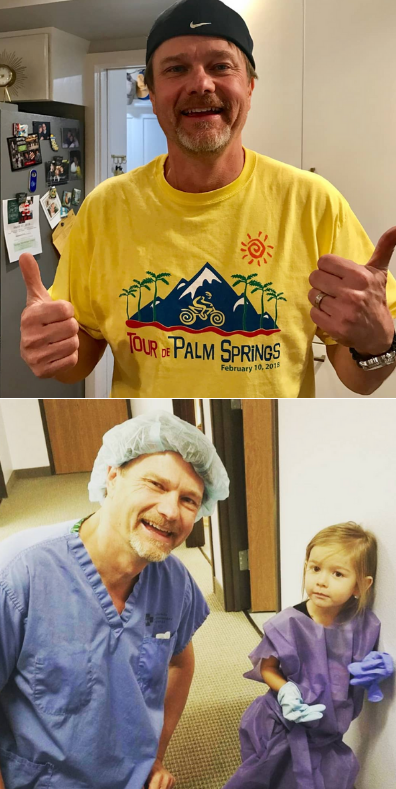 After completing his training, Dr. Collins joined the staff at Loma Linda University as an Assistant Professor of Plastic and Reconstructive Surgery. Since the opening of his private practice in 1989, Dr. Collins has dedicated his time to cosmetic surgery. Dr. Collins is Board Certified by the American Board of Plastic and Reconstructive Surgery. Dr. Collins has been involved in missionary work for the last 20 years in Argentina, Mexico and most recently in Fiji. Annual trips are planned in advance allowing patients to be on a waiting list for their special needs. Redlands Plastic Surgery would like to congratulate Dr. Collins on his retirement. We were so pleased that he chose us to continue the exceptional care he has provided for his patients over his career.